Our outdoor pools at Massey’s beat the heat and please campers of all ages. 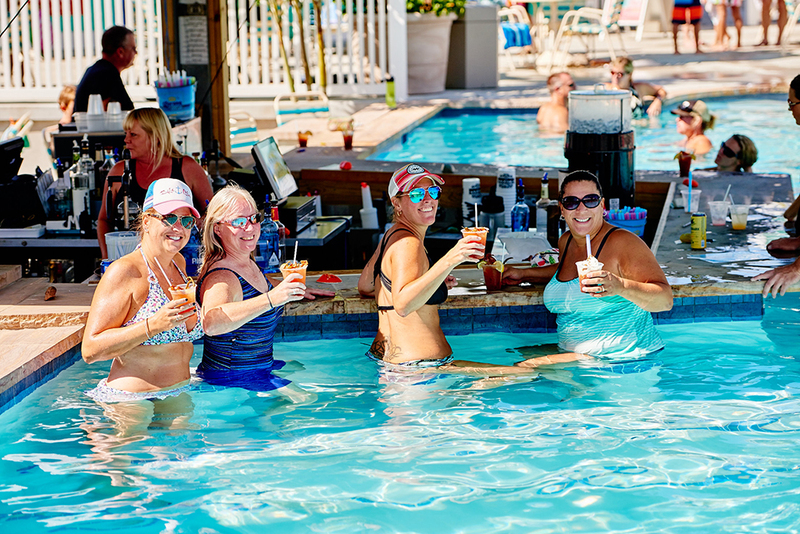 But we also feature the Jackspot Pool Bar just for adults to swim up to, as well as the beachfront Sandy Dollar Tiki Bar. Go ahead, dive in! Swim up to our pool bar and lounge in the water with a cocktail. Our signature crushes are one of the most popular cocktails, but we have a full menu of drinks and a great tap line up. This adults-only (21 and up) area is the perfect place to take a break from the kids and unwind. Our pool bar is just steps from our main pool area so you'll be close to all the action. Our Sandy Dollar Tiki Bar, located waterfront on the sands of our private beach, serves up killer brews and views. Watch the kids splash in the waters of the bay, all while enjoying a cold one. If you’ve worked up an appetite, order from our menu, featuring light fare for lunch or even a late-night snack. 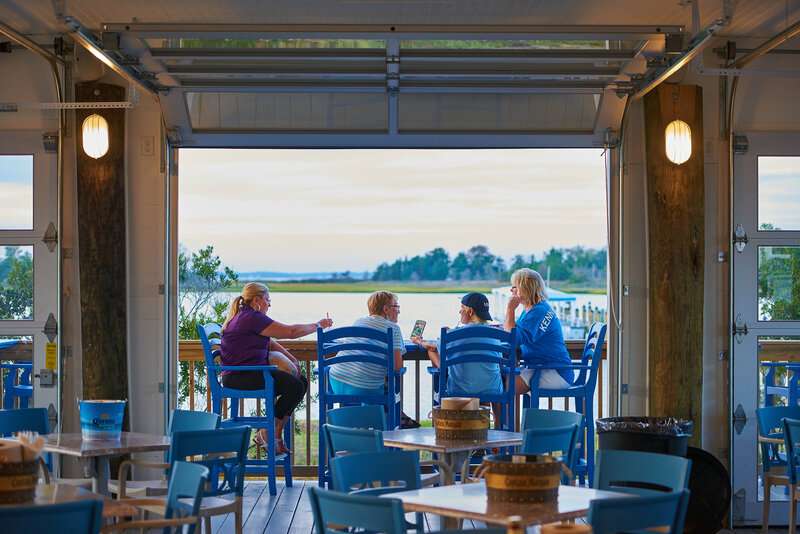 Dine alfresco on our large deck any time of day and enjoy the gorgeous view. Redefine what it means to be a happy camper here at Massey’s, where your camping retreat will be anything but ordinary. Book your stay now at The Resort at Massey’s Landing.